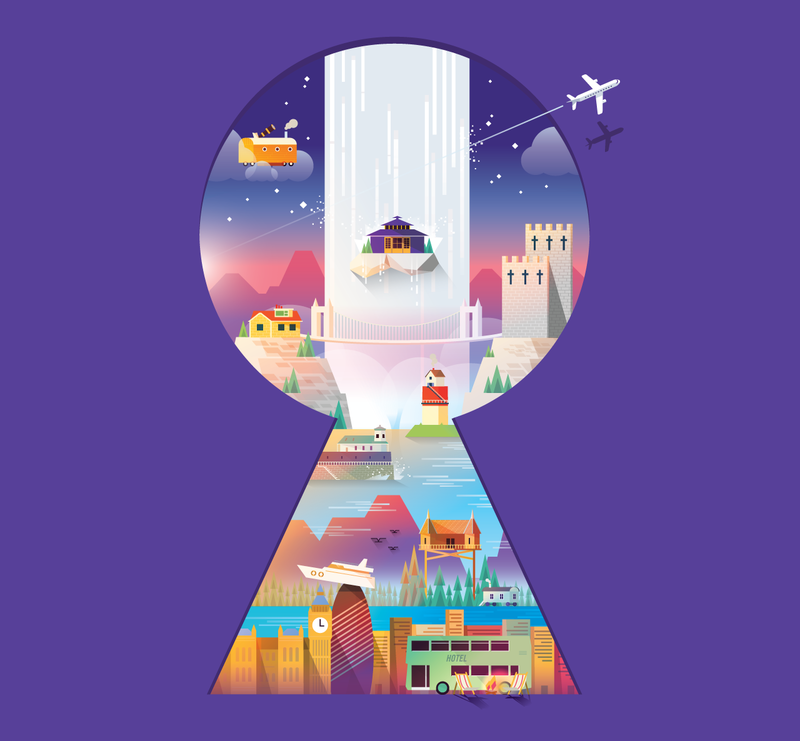 Flybe's inflight magazine Flight Time, which shows passengers undiscovered delights of the Flybe network, commissions an illustrated cover each month. The theme was to show passengers various unusual holiday destinations within the Flybe Network. The concept of the illustration was to encapsulate all the quirkiness within a key hole, conveying subtle sense of discovery. Each of the destinations were made modular so it can be inserted into the articles as editorial illustration as well as social posts.